Premiering on Broadway in 1947, it tells the story of a mysterious Scottish village that appears for only one day every hundred years, though to the villagers, the passing of each century seems no longer than one night. The enchantment is viewed by them as a blessing rather than a curse, for it saved the village from destruction. 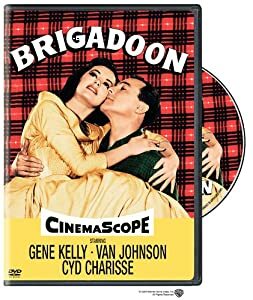 According to their covenant with God, no one from Brigadoon may ever leave, or the enchantment will be broken and the site and all its inhabitants will disappear into the mist forever. Two American tourists, lost in the Scottish Highlands (http://en NULL.wikipedia NULL.org/wiki/Scottish_Highlands), stumble upon the village just as a wedding is about to be celebrated, and their arrival has serious implications for the village’s inhabitants.